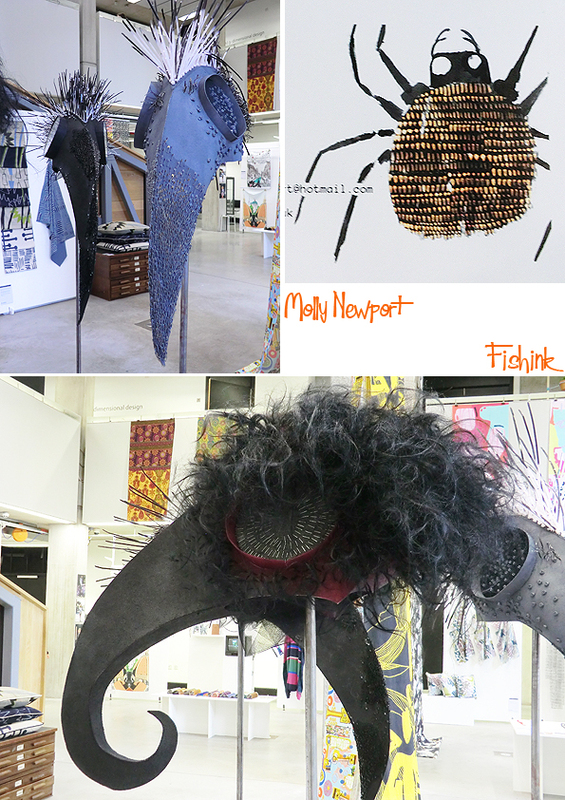 Today is the final day to get along to Manchester Metropolitan University and take in this year’s degree show. 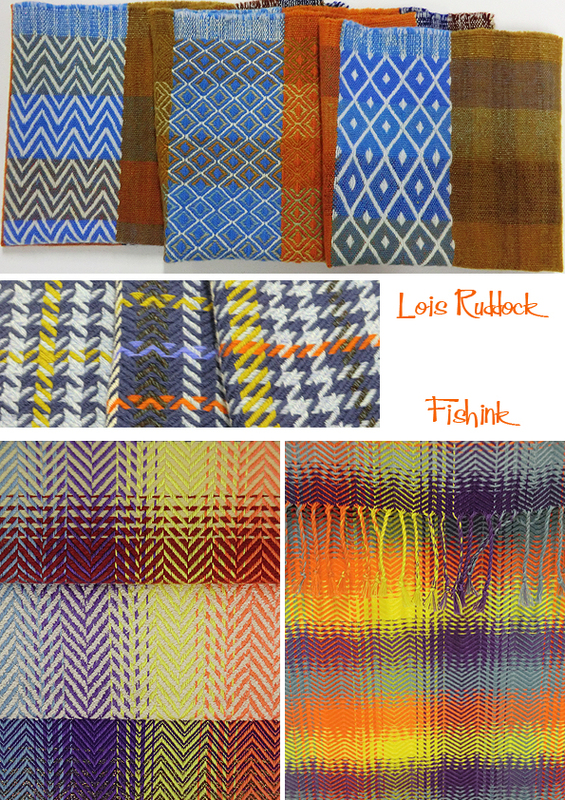 Following on from Monday’s post, textile designer Lois Ruddock starts us off with a few wonderfully coloured weaves. Taking a sturdier approach on materials, Mella Moylan uses the laser cutter to engrave images of draped fabric onto wooden geometric pieces. 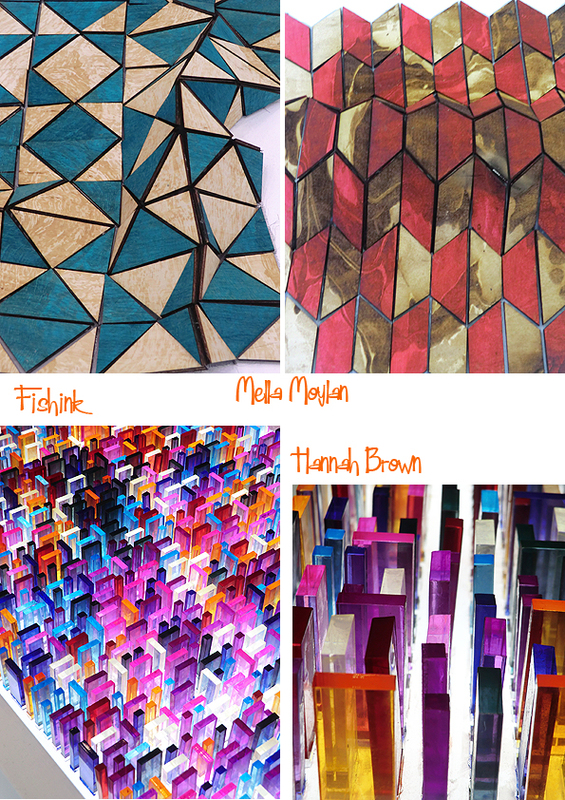 Her ‘wooden textiles’ could be used in many different ways to mold and form new shapes into our interiors. Hannah Brown says her work ” has a strong relationship to light and I incorporate the use of transparent or reflective materials in conjunction with other tactile surfaces. I enjoy manipulating materials through a variety of different processes, such as embossing, laser cutting, printing, dying and hand craft techniques ” Very effective they are too. Molly Newport says ” Using the language of embroidery and particularly embellishment, I have developed a practice that is primarily aimed at an illustrative context. 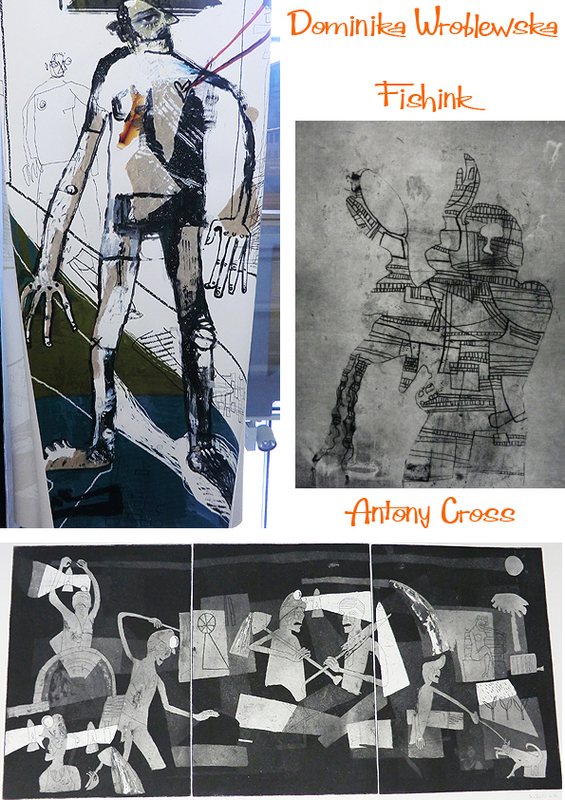 I am an avid drawer, and use my textile skills to realise the translation of two dimensional mark on paper into both three-dimensional and two-dimensional works that give the drawn mark and form a physical and tactile quality” I can see these working well in a theatre or children’s drama. 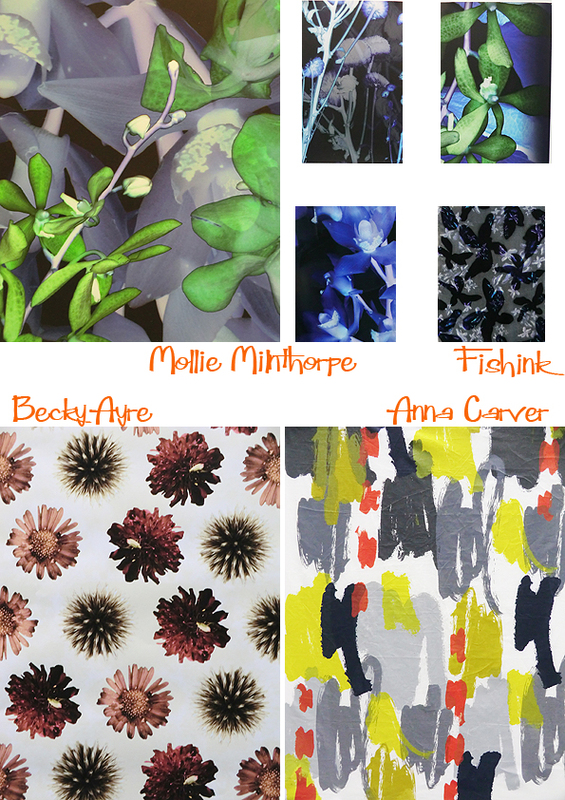 Mollie Milnthorpe has been inspired by botany and the natural world. Her ideas are developed through hand drawing and digital processes, combining and contrasting elements which has been an over riding concept throughout her work, creating unexpected but beautiful combinations. 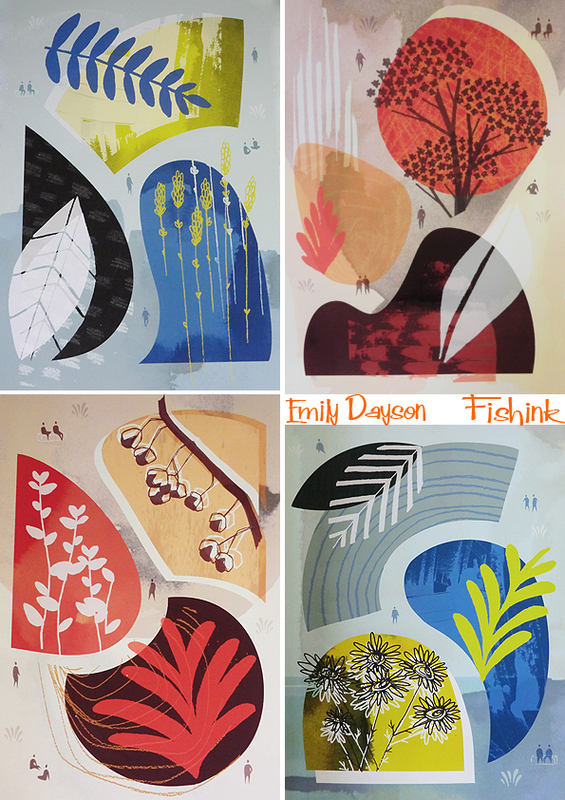 More botanical work from Becky Ayre and a freestyle, fifties-feeling print from Anna Carver. 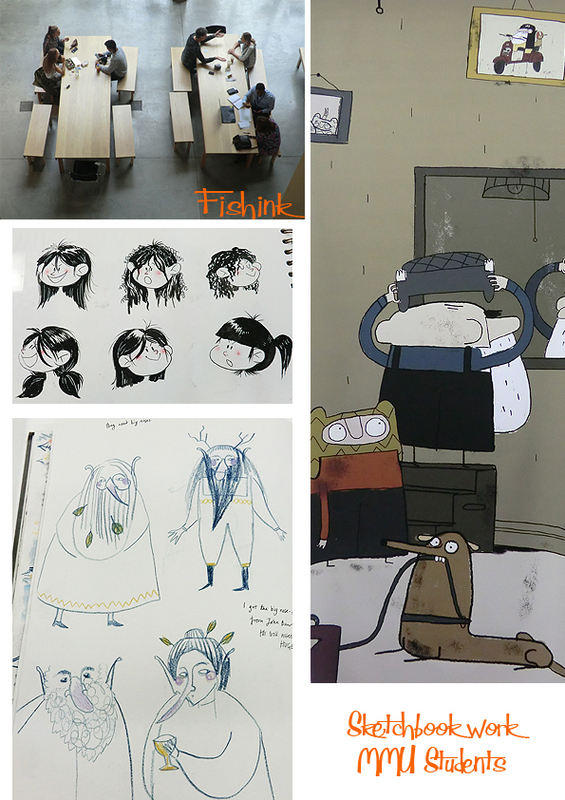 From there we move onto the Illustration with Animation course graduates. 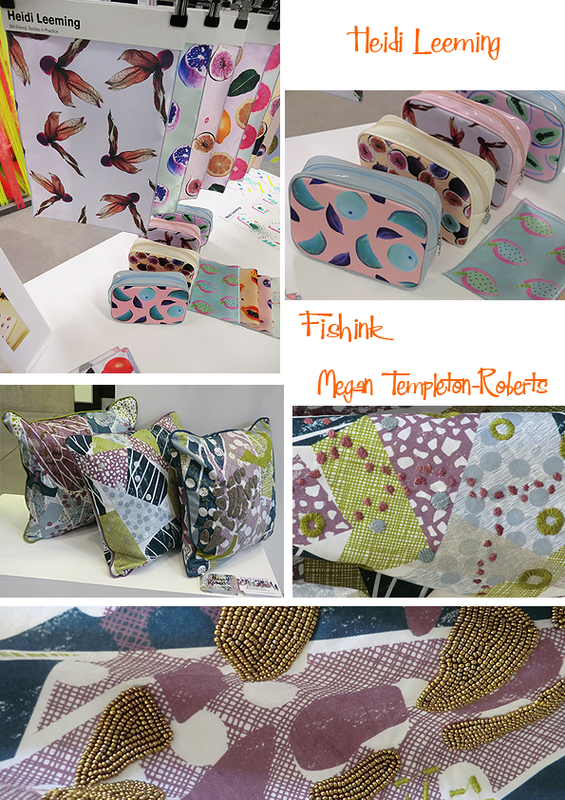 A beautiful collection by Roisin Swales. I will eagerly look forward to seeing more from Roisin, as her own style emerges and develops as she certainly has the talent to engage and inspire the reader. 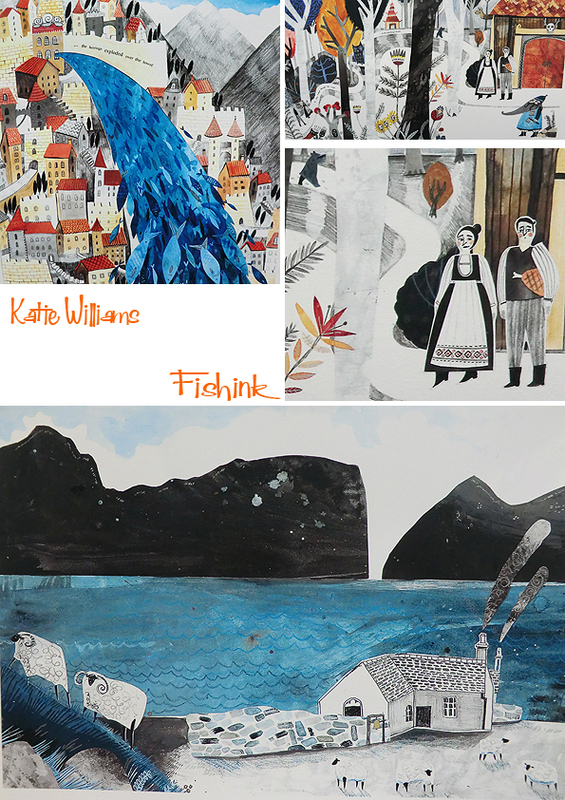 One of my favourite illustrators work this year was that of Katie Williams. Her sea-focused dramatic work were full of life and vigor. With a strong mix of collage and paint/pencil mixed media techniques. Katie’s work was a joy to look at. 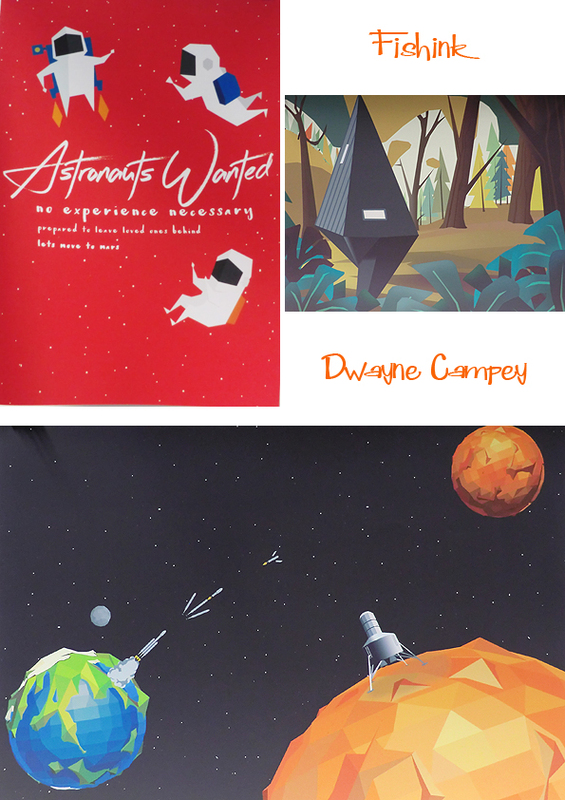 Some wonderfully ‘out of this world’ pieces by Dwayne Campey. 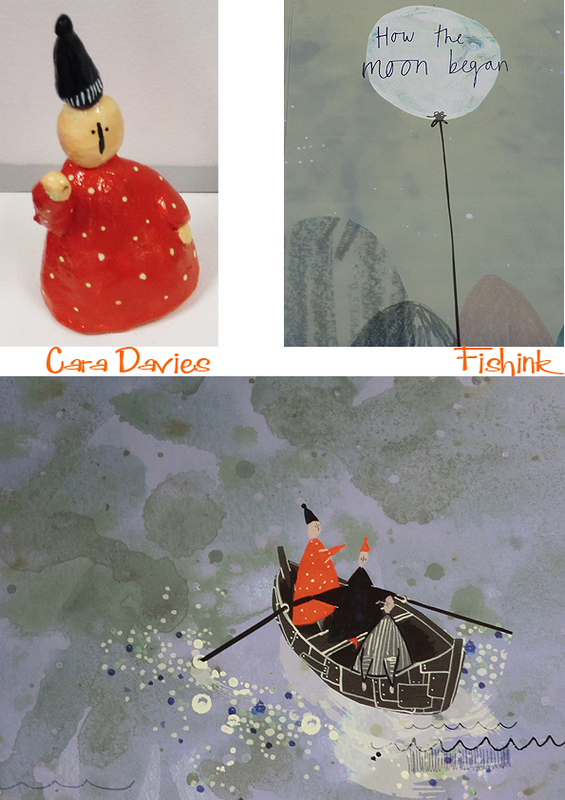 Keeping on a planetary connection with Cara Davies. 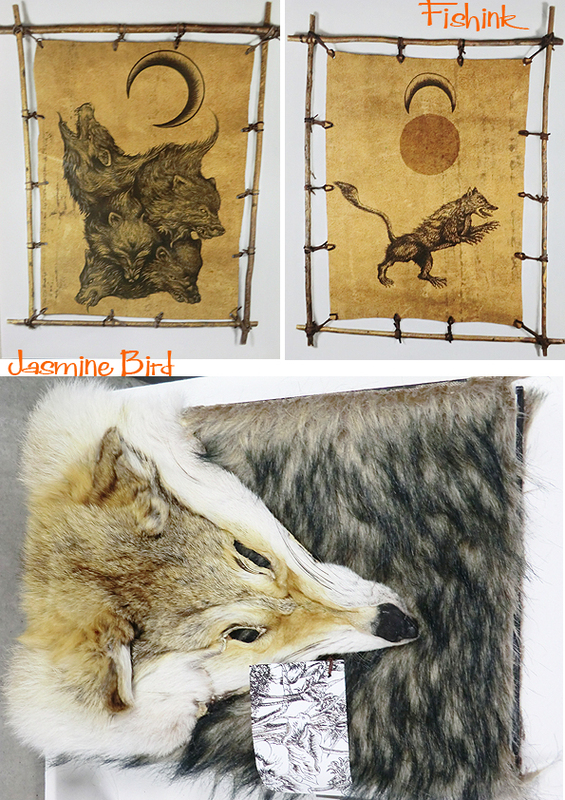 Moons and wolves by Jasmine Bird. 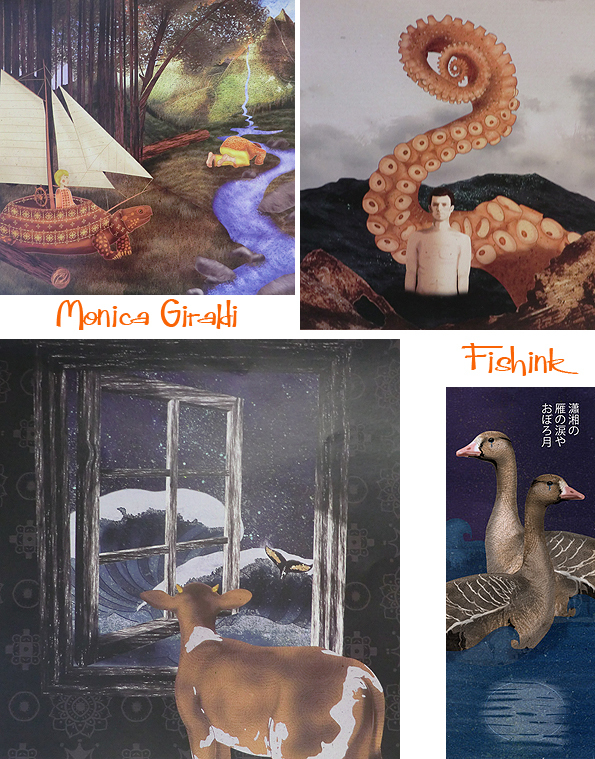 Unusual and intriguing images from Monica Giraldi. 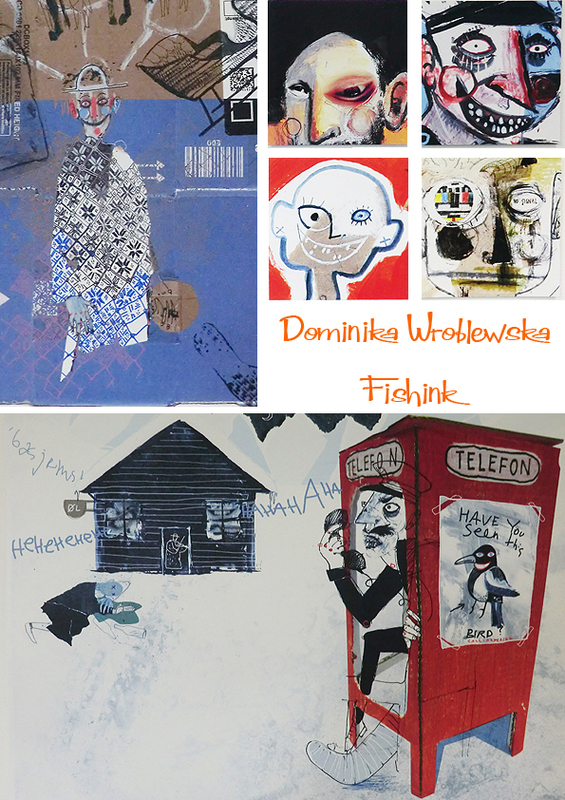 More graphic and sketchy work from Dominika Wroblewska and Antony Cross. Beautiful colours and tranquil settings from nature by Emily Dayson. 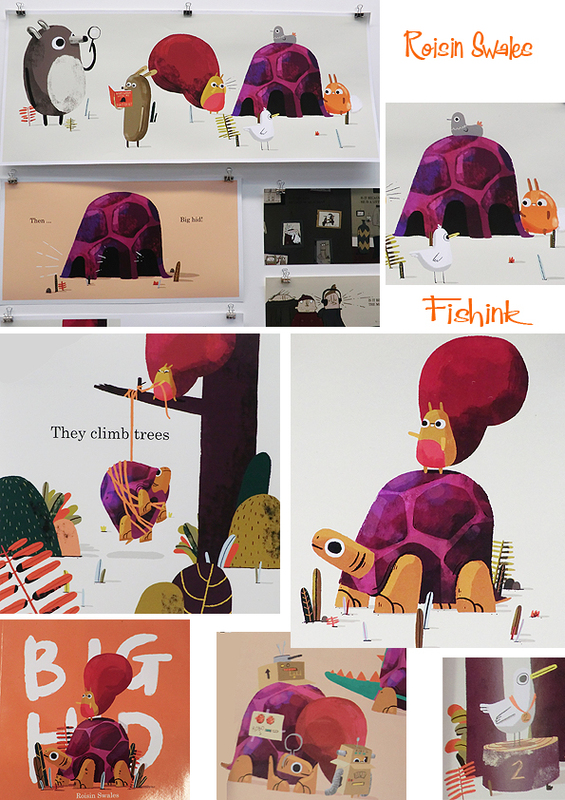 A wonderfully dramatic journey into the animal kingdom by Rachel Fitchett. Great colour and expression in her work. More to come on friday with the last post on the show. Do pop in to see the work at MMU today and let me know your thoughts on what you’ve seen here too. Beautiful work! Thanks for sharing. I love Mella Moylan’s and Hannah Brown’s work. 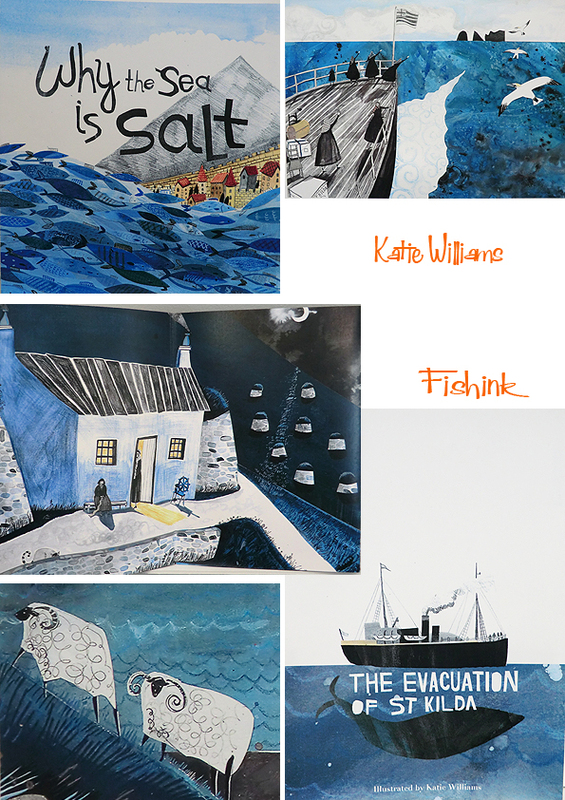 Both designers have produced exciting and thoughtful pieces, and I hope to see more of Katie William’s work in the future.I could look at her illustrations for hours and not get bored. Thanks Ali, I know what you mean about Katie’s work. Wonderful show, I would have loved to have been there in person. Of course, I wouldn’t have been able to keep my hands off the textiles. I would have gotten in trouble. Such artistry and creativity in the world…thank you for sharing some of it with us, Craig!